*Interpretation* - Since you're done, you can see where your zip file is. 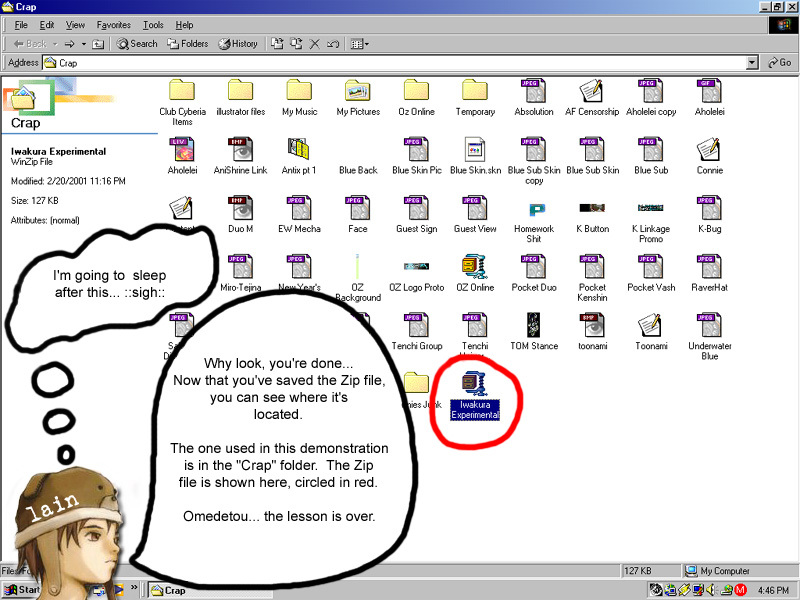 You'll find your zip file in the directory that you saved it in. Now, you can go ahead and add the zip file onto your web site or something so that viewers can download it. Congrats.